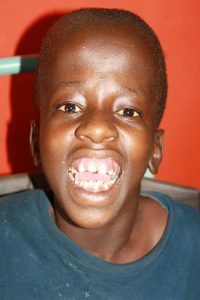 Abraham is 16 years old and has cerebral palsy. Abraham was abandoned by his mother at a witch doctors shrine, after she failed to pay for the services of the witch doctor. He was rescued by his uncle after 3 months at the witch doctors shrine. Before Abraham came to Home of Hope, he lived with his uncle. Every day the uncle locked him up in the house as he goes for work until the evening hours. When Abraham arrived at Home of Hope, he appeared frail, malnourished and he had established contractures. He is dependent in all age appropriate ADL (Activities of Daily Living) tasks. Abraham’s date of birth is December 25th 2001. Agnes is 8 years old and has cerebral palsy. Agnes was brought to Home of Hope by an organization called Foodstep Uganda. She was rescued by an old man, who claimed that a young lady was attempting to set ablaze on Agnes with the help of polythene bags. When the lady saw the man, she abandoned her mission and escaped. 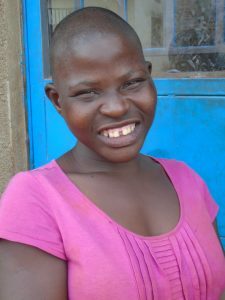 Agnes was brought to police who referred her to Foodstep Uganda. 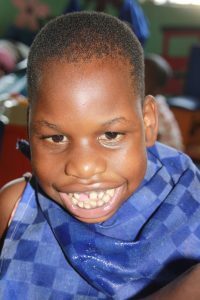 Since Foodstep Uganda doesn’t have the facilities to take care of disabled children, they asked Home of Hope to admit her. When Agnes came she looked frail and was malnourished. She can sit and move independently; however she depends in the rest of activities of daily living tasks. Agnes got her name from a police woman in Entebbe, who handled this case. Agnes is a very happy and joyful girl. Her date of birth is May 3rd 2009. Akiram is 8 years old and has cerebral palsy. He came to Home of Hope through the probation officer. After Akiram’s parents passed on, his grandfather decided to take care of him. But the community realized it was too hard for the grandfather, since he was very old. Akiram is being trained to learn to sit and roll in side lying position. He also can lift his head and reach out for objects like toys. He is on nutritional supplements, as he is too small for his age. Akiram’s date of birth is January 27th 2010. 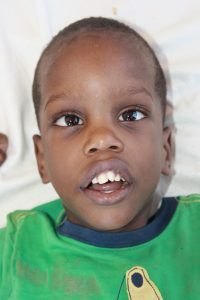 Amza is 8 years old and has cerebral palsy. He was staying with his grandmother after his mother passed on. His father is unknown. Amza’s grandmother was too old and very sickly. During outreach our team decided to take him to Home of Hope for temporary care. Amza is very dependent in all the daily living activities. He is able to sit and roll, but cannot speak. His date of birth is November 12th 2009. Aura is 3 year old and has cerebral palsy. She was born a normal child, but became disabled at the age of 6 months after suffering from cerebral malaria. Her father started disapprearing at home, after knowing his daughter was disabled, but could come home occasionally with threats of killing the mother and the child, saying he cannot give birth to a child with disability. Local authorities referred them to Home of Hope for help. Aura is learning how to sit. Her date of birth is April 25th 2015. 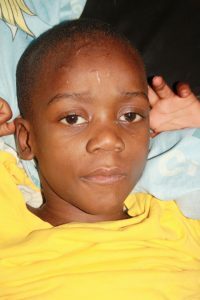 Ausi is 17 years old and has hydrocephalus. 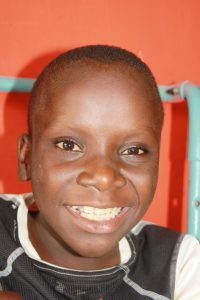 Ausi came to Home of Hope when his grandparents could no longer take care of him. The grandparents are too old and it was very hard to take care of him. His parents passed on when and he was heavy for them, Ausi’s parents passed on at an early age. The local council contacted the probation officer for who requested Home of Hope to take care of Ausi. Ausi goes to a special need school. His date of birth is June 15th 2001. Babirye is 16 years old and she has a twin sister (identical). They both fell sick when they were babies and it affected their brain, which made them to have an intellectual disability. Their parents passed on and they were left in the hands of an old woman, who tried her best to take care of them, but village men had started taking advantage by molesting them and several cases where reported to police. They contacted Home of Hope to rescue these girls from the shameless village men. Both sisters are capable of going to school. 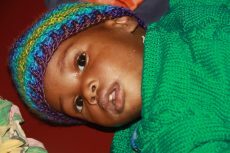 Babirye likes making friends, cuddling, dancing and learning. Babirye’s date of birth is September 14th 2002.